Influencers of augmented reality demonstrate expertise in their fields and outline a strong vision for the future that they evangelize to others. They help define the direction of the industry and identify others who foster and create innovation in the field. The idea of the "influencer" reached buzzword status in the marketing community among those looking to reach large audiences. These days, the world of influencers has enveloped people from different backgrounds who would otherwise be anonymous, bestowing upon them a special status due to their high social media engagement and follower counts. However, in the augmented reality community, the term takes on a different meaning. AR Influencers include those who have achieved or otherwise significantly supported groundbreaking augmented reality experiences, from marketing and business use-cases to new ways to tell stories or create art. They introduce new ways to apply AR for work and play and tutor developers on how to create experiences for new platforms. These influencers set the standard for ethics and morals in the field. They lead, inspiring many others to follow. As an emerging field, influencers are more critical now for augmented reality than they will be years down the road. The field of AR influencers isn't exactly a blank canvas, but it still contains more blank space than crowded, colorful basket of individuals as you might find in the mobile world, for example. Nevertheless, these pioneering AR influencers are showing where the technology is going and, more importantly, where it should go. Cosmetics brands are among the earliest adopters of augmented reality for marketing purposes via virtual try-on experiences. 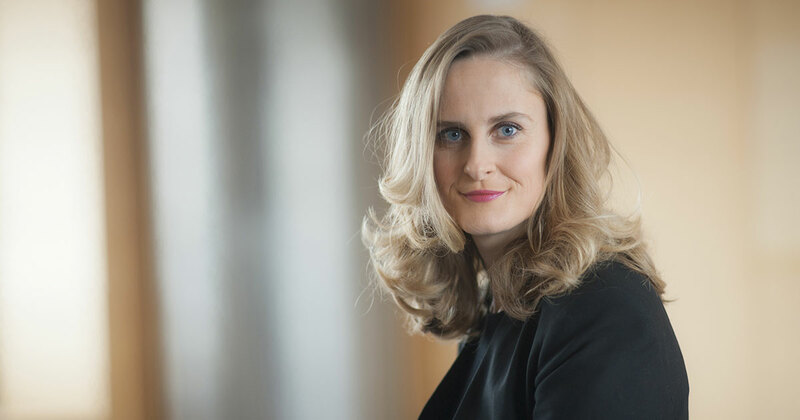 L'Oréal stands as a leader in this regard, thanks to Lubomira Rochet (pictured in the cover image at the top of this article), the company's chief digital officer and a member of the group's executive committee. A French-Bulgarian national, Rochet graduated from the elite Ecole Normale Supérieure, Sciences Po Paris, and the College of Europe in Bruges, where she studied as an economist. Among her credentials is a stint at Microsoft managing relationships with startups. In 2014, she joined L'Oréal where she oversees the company's digital transformation efforts. Her approach involves marrying marketing and e-commerce efforts. In an interview with Ad Age, Rochet cited Makeup Genius for L'Oreal Paris (a virtual try-on app with more than seven million downloads) and mobile apps as a key to the company's strategy. Under Rochet's watch, the company has also partnered with Perfect Corp. to include its products in the YouCam augmented reality app. Perhaps her most prominent contribution to date is the company's acquisition of Modiface, the computer vision platform that runs many of the virtual try-on experiences on the market today. "We at L'Oréal and ModiFace want to pioneer this new page of the beauty industry and serve our customers with innovative services and experiences," said Rochet at the time of the acquisition in March 2018. Bringing the technology in-house significantly boosts L'Oreal's AR capabilities and extends those resources to the company's 34 makeup brands, which include Lancôme, Giorgio Armani, Urban Decay, and Maybelline, among others. Moreover, it signals that L'Oréal's commitment to augmented reality isn't a trend-driven flash in the pan, but part of its long-term marketing and e-commerce strategy. But the most crucial thing Rochet is doing is normalizing AR as a robust and practical tool for millions of consumers, all while other companies are still desperately looking for ways to sustainable employ AR and lock consumers into their product offerings. According to some estimates, the global cosmetics industry has a market value of well over $800 billion, and the variety (catering to different skin tones) and approach (environmentally friendly and non-animal tested cosmetics) to cosmetics is only growing. Now that the smartphone has become the default makeup mirror of a generation, Rochet is leveraging that dynamic through AR apps, and it's looking like the rest of the industry is following her lead. We already know that Magic Leap's CEO is a mysterious, somewhat eccentric figure leading the company with furtive social media posts in the middle of the night and only the occasional public appearance. But the other, slightly lesser-known part of the story involves Aleissia Laidacker, an interaction director at Magic Leap, who stands as the far more gregarious and more public-facing member of the team Magic Leap followers have gradually come to admire as one of the rare windows into the mostly opaque inner workings of the company. If you haven't met her at any one of a number tech conferences, where she frequently outlines exactly how developers and end users can harness the power of Magic Leap's platform, you've probably seen her either on video or online, directly engaging the tech community. For some, she's been a major part of taking the edge off some Magic Leap's sometimes frustrating secrecy, while for others, thanks to her gaming industry roots, she's been key to framing the company as not just tech-driven, but content-driven as well. Amid the numbers of tech executives who are either too dry to relate to the public or just a little too out of touch to really connect the developer community, Laidacker stands as one of the uniquely insightful, genuinely engaging, widely accessible, and technically rock solid tech leaders future startup founders and teams would do well to model themselves after. Luckily, Laidacker is now applying her talents solely to the AR space, and we're all the better for it. We spoke to Laidacker about her work in helping to push AR from the fringe on into the mainstream. Below are her lightly edited responses. What was the first time you experienced AR or VR? On my 10th birthday, I went to a local amusement park, and it was the first time I tried VR. It was a Dinosaur VR experience with 4D haptic feedback. I loved it so much; I spent the day lining up trying it again and again. Who Framed Roger Rabbit. Most people think of all the classic sci-fi movies, but I loved the idea of interacting with digital characters in the real world! If you were making this list who would be one person you'd include on it? Graeme Devine [chief game wizard at Magic Leap]. Seeing his conference talk at D.I.C.E. a few years back is what got me thinking about the amazing possibilities of AR and spatial computing. Over the years, the tech industry has picked up a bit of a reputation as being a boy's club, with women being underrepresented at many tech companies when compared to the general population. Along with that disparity, allegations of sexual harassment and racial insensitivity have darkened the doors of some of the biggest companies in Silicon Valley. Julie Young is one of the many talented people working to shift the representational balance in tech, in this case, within the immersive computing space. Young is the co-founder and CEO of SH//FT, an organization devoted to promoting diversity in augmented reality and virtual reality companies. The SH//FT organization advocates for women and people of color with companies in the AR and VR industry via scholarships, mentorships, events, and other programs. Microsoft and Oculus are among their partners in these endeavors. A graduate of the University of Pennsylvania, where she was a student of economics at The Wharton School, Young has extensive practical experience in the industry as well. Most recently, she worked on augmented reality experiences at Snap, Inc. She also worked as a producer for virtual reality company Emblematic Group, where she produced a pair of room-scale VR experiences, Out of Exile: In Daniel's Shoes and Across the Line. Outside of immersive content, she has also served as an associate producer for the Frontline documentary Fast Times at Philly High and worked at Goldman Sachs. As efforts like Young's increase, there are signs the tide is turning towards more diverse representation in tech. For example, the AWE conference, via a partnership with Women in XR, recently committed to featuring more women as speakers at its events. The initiative started with its most recent conference in Santa Clara, where more than 100 professional women from the immersive computing industry appeared as speakers, and Young was among them. As the director of immersive platforms and co-director of the virtual reality program for NYTVR, Graham Roberts is the driving force behind the use of augmented reality as a journalism tool at The New York Times. A five-time Emmy-nominated journalist for the Times, Roberts specializes in visual storytelling. To date, Roberts and his NYTVR team have produced augmented reality features on the Winter Olympics, David Bowie's freaky costumes, the latest NASA mission to Mars, the deadly volcano eruptions in Guatemala, and chemical warfare in Syria. "Something profound has happened to your camera. Its very purpose — capturing images — has expanded to include a new role: creating a bridge between our physical and digital worlds," wrote Roberts in an article introducing the Times's AR and VR work. "The camera can become a window into a world enhanced with digital information — adding a piece of sculpture to your bedroom or a car to your driveway. Neither actually there, but appearing to be and believably so." In addition to his Emmy nominations, Roberts has earned recognition for his reporting from the Society of News Design, the Cooper Hewitt National Design Awards, the Edward R. Murrow Awards, and the Pulitzer Awards. Having studied digital media design at the University of Pennsylvania, Roberts now passes his knowledge on to the next generation of reporters, teaching motion graphics at the CUNY Graduate School of Journalism. SXSW 2013. I waited in line to try something called an "Oculus DK2," which had just come out. I tried a piece called "Strangers" by Felix and Paul Studios. It was incredibly simple, just sitting in a loft while a musician played his piano. I looked around, realized there was a dog chilling below me, and this for me was the real eureka moment. I felt transported, despite the issues with quality and resolution. So much so that I reached into my pocket to check my phone while I sat there. Of course, I could not see my phone inside the headset, but the fact that I still took it out and expected to see it demonstrated that this kind of experience had a transportive power fundamentally different from what we'd seen before. Strange Days with Ralph Fiennes in 1995. That movie has everything. On devices like the HoloLens, I'd say the field of view. You can just tell how much more incredible it will be when that is improved. On phones, the lack of good occlusion; I know it's a hard problem though. ARKit and ARCore. This brought quality AR to a huge audience on devices people already own. Nothing else comes close in terms of moving the needle. As the vice president of product and marketing at New York-based startup Lampix, Gordon Meyer gradually became one of the loudest and most high profile voices pushing AR forward, far away from Silicon Valley on the East Coast. In recent weeks, Meyer has moved on from his role at the company, but his interest in immersive computing predates his stint at Lampix. Before Lampix, Meyer held a similar position in the executive suite at YouVisit, another company devoted to immersive computing on the VR side of things. Before leaping into virtual worlds, Meyer was instrumental in pioneering another tech-powered space that was once considered a hard sell for mainstream users: satellite radio. As head of digital marketing at Sirius XM, Meyer spent over a decade helping to move the company from an outlier platform that was difficult for many traditional radio consumers to understand, to a significant player in the overall media landscape with over 30 million subscribers. That early experience with transforming a completely new platform into something mainstream users flock to is vital not just to AR, but to companies like Lampix in particular. Billing itself as one of the first blockchain-powered AR platforms, Lampix is working to embed its hardware and software in everyday locations in cities around the world, allowing users to experience AR without the need of a smartphone or even smartglasses. Although the company has only secured around $14 million in funding, it's already being mentioned in the same conversations as some of the biggest players in AR, and a lot of that is due to Meyer's relentless drive to push the Lampix platform and, more importantly, support the overall AR community as it matures into a mainstream technology. Seeing my daughter's face when I turned her into a lion on my iPhone. Her entire world is going to be augmented, and it will be natural for her. Hardware companies keep putting out concept videos that do not measure up to the experience of their first-generation devices. While it's great to excite the masses, it's a disservice to our industry to build up expectations that current technology can't meet or exceed. Current capabilities are magical enough, let's communicate those and work together to introduce this helpful technology to the world. The introduction of depth sensing on the iPhone X, as depth sensing becomes more powerful and can extend to entire rooms, we're going to see some pretty amazing applications. One of the seemingly least likely names on this list, award-winning illustrator, interactive designer, and writer Stuart "Sutu" Campbell creates stories at the intersection of art and technology. But it's his Eyejack app, one of the top mobile AR apps available, and the resulting experiences, that vaults him toward the industry's apex. Previously, Campbell rose to acclaim in the art world for his interactive comic book Nawlz and has produced other interactive literature including the YijalaYala Project and NEOMAD. His multimedia installations have been on display at the Australian National Museum, and he has also designed pilot training programs for the Australian military. The artist began experimenting with augmented reality art in 2015 with a scannable tattoo. He followed that up with Prosthetic Reality, an interactive anthology of work by 45 artists. The works were brought to life with vivid animations via Eyejack, which operates via image recognition technology. Initially launched on Kickstarter, the project only received $12,000 in pledges but surpassed its funding goal. Campbell is now working to open up Eyejack as a platform for artists, with early beta access coming soon. Art from the project is also available for display at galleries and art exhibitions around the world. We spoke to Campbell to find out what some of the inspirations are that drive his AR creative endeavors. Below are his lightly edited responses. My first time experiencing AR was when I started making my Modern Polaxis AR comic. I teamed up with a programmer/now my business partner at EyeJack, Lukasz Karluk, and we transformed one of my Polaxis illustrations into an AR artwork, which we printed out and pasted on some walls in the backstreets of Sydney. It was a combo of AR and projection mapping; we used our custom AR app to calibrate the data projector so that the projection mapped to the artwork instantly without any fiddling around. My first VR experience was using Tilt Brush. It was also the first time I was able to stand inside my artwork, which was quite profound. I like the little hologram sequence designed by David O'Reilly in Her. Or "Hyper-Reality" by Keiichi Matsuda. With my own software, the thing that frustrates me the most is getting it working on all the different devices and operating systems. The operating systems are always updating, and they don't invest much in backward compatibility, so a lot of my older projects don't even work anymore. I think this is a bigger issue that affects all areas of the tech industry, not just AR and VR.